Our most important and honoured policy is that of satisfaction... to you and those who receive one of our gift baskets. We guarantee our 100% commitment to providing you with one or many gift baskets that you are proud and honoured to give. * If you or your recipient are in any way unsatisfied with your gift, please let us know as soon as possible by email at customerservice@kaivalgiftbaskets.com or by phone (514) 895-9223, so we may work together to remedy the situation. 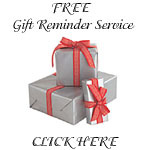 * At KaiVal Gift Baskets, we will not sell, rent, exchange or give out any of your personal or business information. Just as we all value our own personal privacy, we will value and respect yours by keeping it confidential. * All of our gift baskets are in perfect condition as they leave our premises for shipping & delivery. If your package and/or gift basket(s) are damaged in any way, please let us know immediately (within 3 days of receipt of the gift basket) in order to ensure immediate attention, either by refund, exhange or discount on future purchase. * If you are interested in an exchange or refund, please notify KaiVal Gift Baskets within 3 days of receipt of the gift basket(s) either by phone (514) 895-9223 or email: customerservice@kaivalgiftbaskets.com, and if your claim is accepted, you will be given an authorization number for the exchange or return. We will then inform you of the best way to return the merchandise back to us. 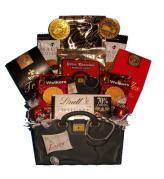 * Gift basket orders cannot be cancelled once they have left our premises to be shipped or delivered. *Maintaining baskets of the utmost quality is a top priority at KaiVal Gift Baskets, therefore we reserve the right to substitute an item for another one of equal or greater value, including food, containers, baskets and enhancements due to the availability of certain products and seasonal differences. **During the hot summer months, we will usually substitute chocolate for another product... unless you request otherwise, or it is for a local delivery. *We accept payment made by Visa, Mastercard and American Express. *KaiVal Gift Baskets offers a 5% discount on orders of 50 gift baskets or more. 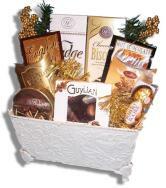 *For larger orders of 20 or more gift baskets, a 50% deposit is required before the order will be processed. The remaining balance is due the day of delivery or shipping unless the order is to be completed within 2 weeks, then the balance must be paid in full prior to the order being processed. *Once an order has been processed, there is a 40% cancellation fee.